Thanks Readers Digest for the great article! Check some new-to-you audio books out of the library. 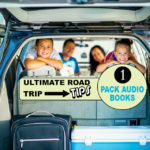 Kids and adults alike can enjoy tales like The Chronicles of Narnia, Charlie and the Chocolate Factory, The Hobbit, or Harry Potter—and their easy story lines make them perfect for a driver to pay attention to, as well. 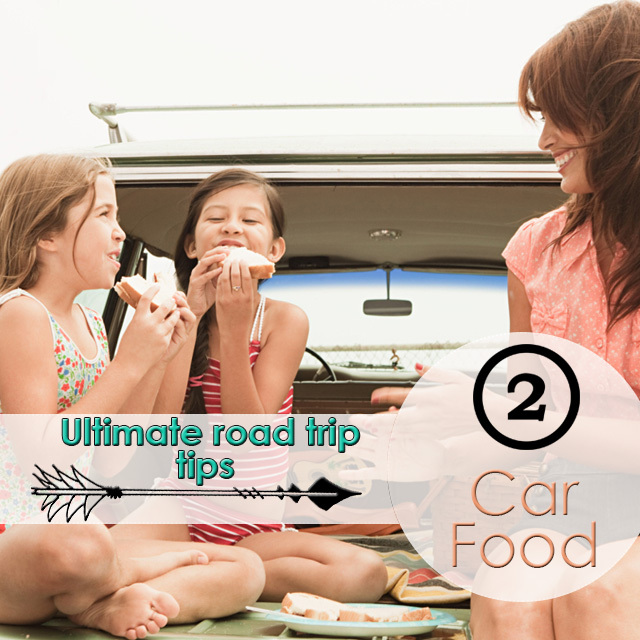 There are two strategies with car food: You can either bring along crumb-free, non-greasy, non-gooey finger foods—like baby carrots, grapes, and sandwiches—or pack your family’s favorite “treat” foods like chips and baked goods, as a special car reward. Pack favorite bed pillows and blankets to soothe everyone on the journey. Whether it’s a child’s security blanket or a pillow for the passenger seat navigator, a soft cushion can make a cold car cozy. Pack paper towels, toilet paper (you never know with rest areas and petrol stations! ), a box of tissues, and some garbage bags. And bring more than you think you’ll need—there’s always the possibility of car sickness in addition to the normal spills and usual cleanup. 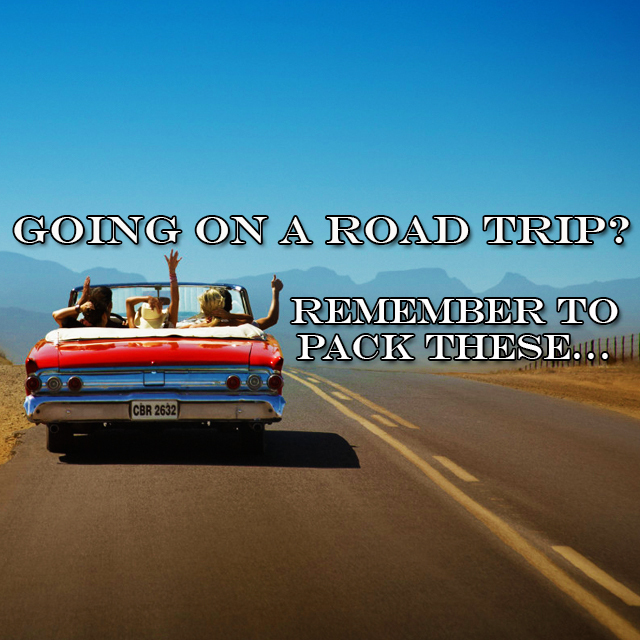 Don’t get locked out of the car: Always pack a duplicate set of car (and house) keys in a separate bag. Bring along a Frisbee, ball, or jump rope so antsy kids (and adults!) can blow off a little steam at rest stops. 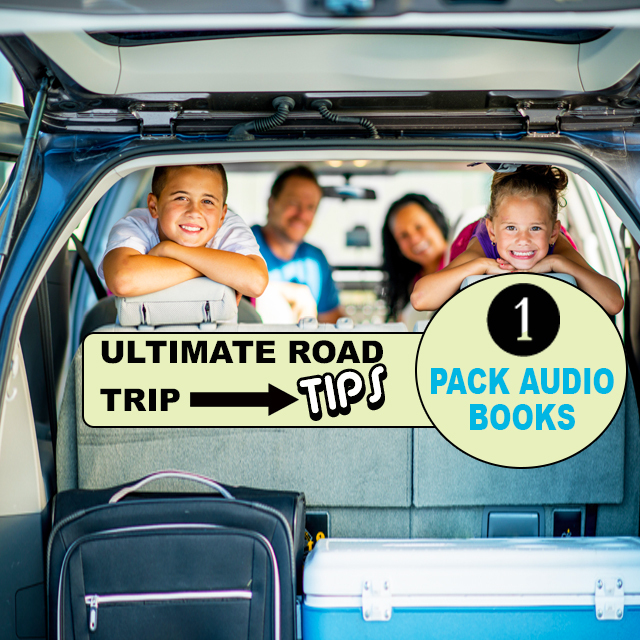 To treat road-trip aches, nicks, and scrapes, pack a plastic bag full of items like anti-bacterial cream, bandages, pain relievers, and motion sickness medicine. Some friendly competition will go a long way towards warding off boredom. Some ideas: cards, travel bingo, and word games. Bring a container of disposable wipes, or simply put some folded damp paper towels in a resealable plastic bag. You’ll use them for everything from sticky fingers to a quick refreshing mask for road-weary eyes. Make sure you bring along a travel charger for your cell phone and other electronic devices. If you’re traveling with young children, remember that accidents happen. Bring along a change of clothing for the inevitable leaks and spills.